For those who don't remember, during the India-England 2011 test series, Dhoni 'almost' had Pietersen caught behind. MS Dhoni might be captain cool, but that doesn't mean he can't beat you in a good old verbal banter. 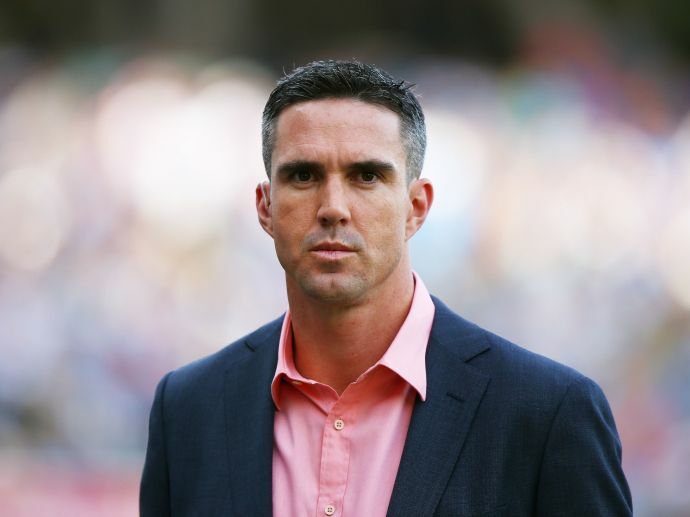 During the match between Rising Pune Supergiants and Mumbai Indians, Kevin Pietersen, commenting on the match, conveyed a message to MS Dhoni through Manoj Tiwary who was on the mic. Pietersen said to Tiwary, "Can you do me a favour? Can you just whisper MS that I’m a better golfer than him." When Tiwary gave the message to Dhoni, the former Indian captain had a priceless comeback: “He is still my first Test wicket.” For those who don't remember, during the India-England 2011 test series, Dhoni had Pietersen caught behind but the decision was overturned on referral. But almost getting out to a wicket-keeper must have stung Pietersen pretty bad! What are you staring here for? Go watch the match!